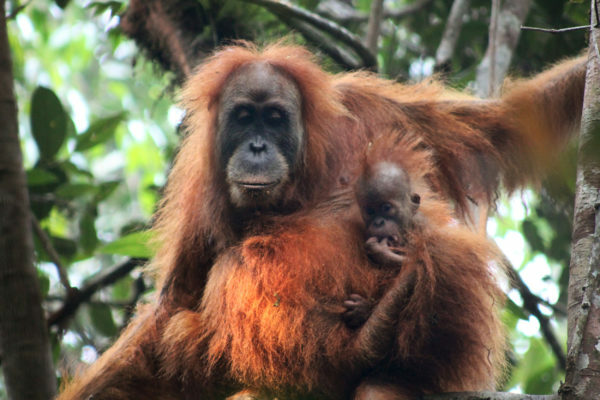 The Malaysian government was “drawing up a list of counter measures” to take against the UK and other EU member states, if they approved a ban on palm oil in biofuels counting towards renewable targets in January, according to material seen by Unearthed. The news comes as the UK looks to boost trade with south-east Asian countries after Brexit. A diplomatic telegram sent on 19 December 2017 from the British high commission in Kuala Lumpur to the Foreign Office, stated that Malaysia was considering taking “reciprocal trade measures” against the UK and other EU member states in case the EU parliament voted to stop palm oil in biofuels counting towards countries renewables targets. As predicted in the document, in January MEPs voted in favour of the ban on environmental grounds, but the final decision will be approved following negotiations between the parliament, the EU Commission and the European Council. Palm oil is widely blamed for widespread deforestation and environmental damage in south-east Asia. An unnamed expert is reported in the telegram to be “aware that the Malaysians were now drawing up a list of counter measures should the vote pass, and he cautioned they could well affect several sectors, irrespective of whether a country was a palm oil importer”. The telegram, which was obtained by Unearthed using freedom of information rules and heavily redacted, ends with the high commission official asking the Foreign Office whether the EU palm oil debate “is something we should be taking an interest in?”. This week Indonesia’s special envoy on palm oil Luhut Binsar Pandjaitan told an audience in Brussels that his government would consider taking retaliatory trade measures against the EU, including action against aviation giant Airbus, if the biofuel phase out goes ahead. Unearthed went to the Indonesian embassy in London to ask for a comment on reports that their government was considering backing away from a trade deal with the EU, known as Cepa, and cancelling defence contracts with the UK over the palm oil ban. Vitto Tahar, an embassy official, said his government was committed to Cepa and “does not wish to link or relate the issue of palm oil to our broader bilateral relations with the United Kingdom”. The governments of Malaysia and Indonesia, the two main producers of palm oil, have both reacted forcefully to the European move. Mah Siew Keong, Malaysian plantation industries and commodities minister, has described the European parliament’s position on palm oil as “crop apartheid”. The Malaysian government has also said it will go to the World Trade Organisation to complain about the EU move to prevent palm oil in biofuels from counting towards renewable targets. The vote forms part of negotiations around the EU’s new renewable energy directive. A final decision on the shape of the directive, which will set ground rules for European renewable energy policy post-2020, is yet to be taken, with negotiations between the parliament, the European Commission and the European Council ongoing. The UK has not used palm oil in the production of biofuels for years, but both Malaysia and Indonesia are important trading partners for the country, particularly on defence matters. The Campaign Against Arms Trade (CAAT), which tracks export licensing data, has shown that £68m worth of UK arms export licences were authorised to Malaysia in the first nine months of 2017. CAAT also shows that £81m worth of UK arms export licences were authorised to Indonesia in the same period. With the UK set to leave the EU in March 2019, the British government has been anxious to set up positive trade relations with both Malaysia and Indonesia. In the UK, the Freedom of Information Act gives the public access to information held by public bodies. That means things like government departments, local councils and universities are obliged to publish certain information about their activities, while members of the public can also make requests for information. You can find out almost anything with an FOI request, from how much money your university makes from library fines each year, to what government ministers are saying to powerful corporations. Find out more here (link in comment). Unearthed asked the Foreign Office if potential trade reprisals from the Malaysian and Indonesian governments play any role in government decision-making over the UK’s position on palm oil in the renewable energy directive, but the department declined to comment. The Malaysian embassy is yet to respond to Unearthed’s request for comment.